After nearly a year of release, Rise of the Tomb Raider is finally coming to PlayStation 4, and it's bringing some new tricks with it. Rise of the Tomb Raider: 20 Year Celebration, so it's titled, will include the base game, all previously-released DLC, and a number of new features. A new DLC mission, "Blood Ties," has players explore Croft Manor and defend it from both zombies and an embittered uncle. PlayStation VR owners will additionally be able to explore Croft Manor in first person. Endurance mode will go co-operative, allowing players to team up with a friend to raid tombs and survive against enemies and the elements, while a new Extreme Survivor difficulty setting will up the challenge on the main game. Finally, a slew of new skins will allow players to visually disorient themselves by playing as series hero Lara Croft's earlier, blockier incarnations. All new features except the VR content will be made available to existing Xbox One and PC owners for free. Turning 20 years old this year, Tomb Raider has sold over 45 million copies; when originally released on Xbox One, Rise of the Tomb Raider itself scored an 8.5/10 from Gameplanet's Ben Allan. 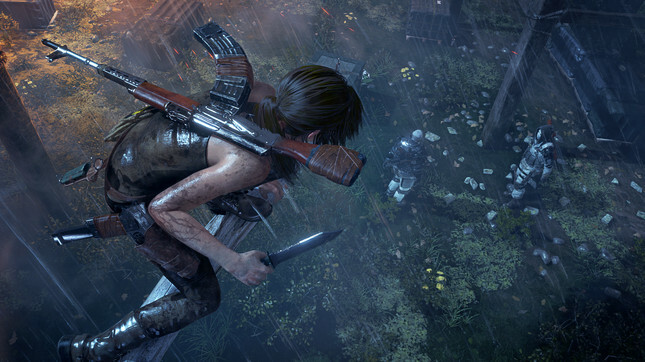 Rise of the Tomb Raider: 20 Year Celebration releases October 11th for PlayStation 4.